I've been wearing reddish eye shadows a lot the last few days, so I thought what better with which to do a tutorial! 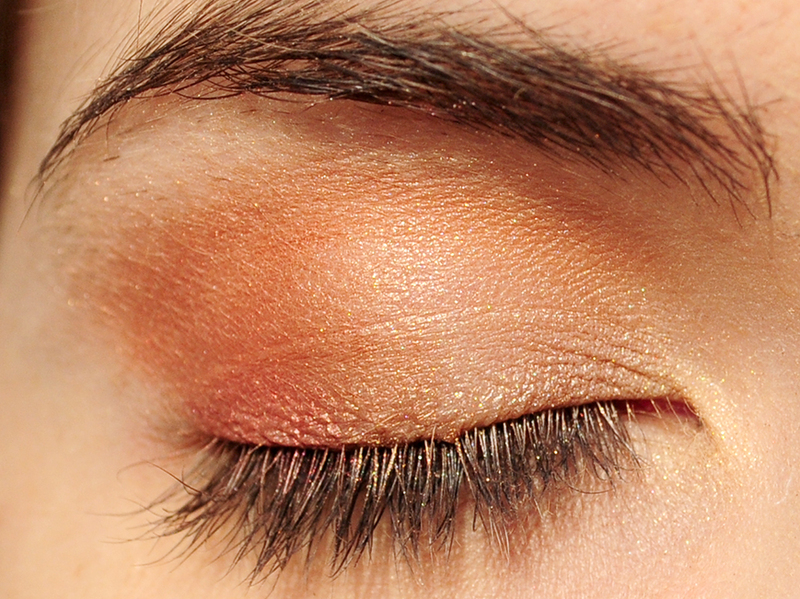 This is a bit different than the look I've been wearing, but I love how autumnal and fiery it is! 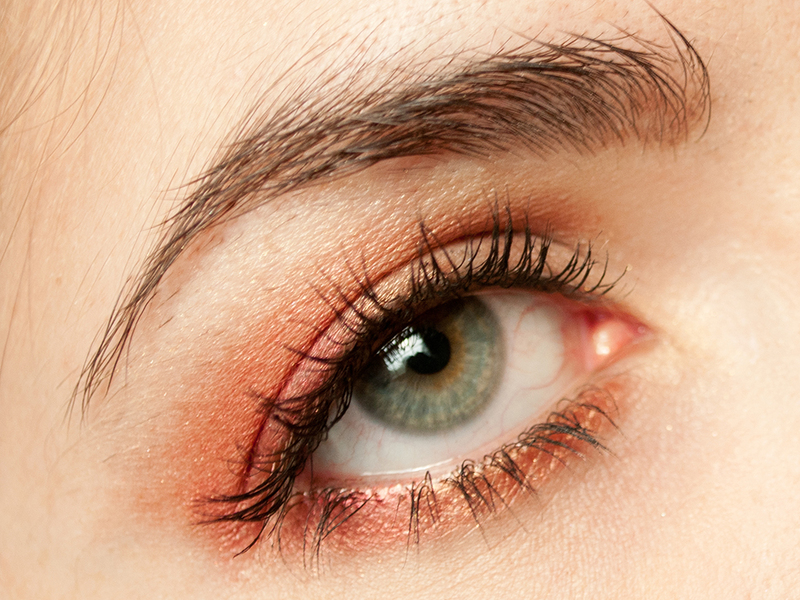 If you have green or blue eyes (or grey... which my eyes actually are), then this is a look that will make the color pop! Prime your lids! I didn't get a "naked" photo, but I feel like you guys know to do this at this point. 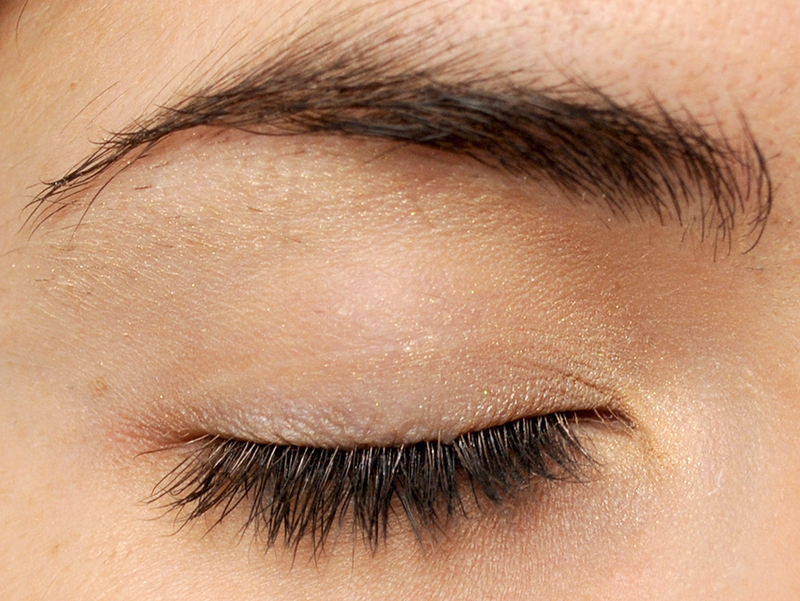 I put some champagne shimmer on my brow bone and on the inner corner of my eye. 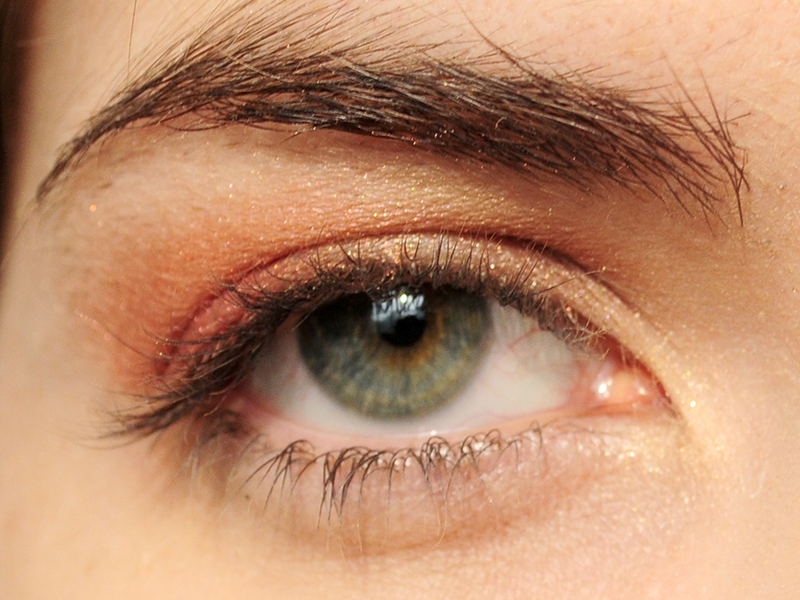 I used the lightest shimmer shade from the NYX Love in Paris Palette in Merci Beaucoup. Using the same palette, I applied the tan, matte shade to my socket. This will be used for blending upward later. 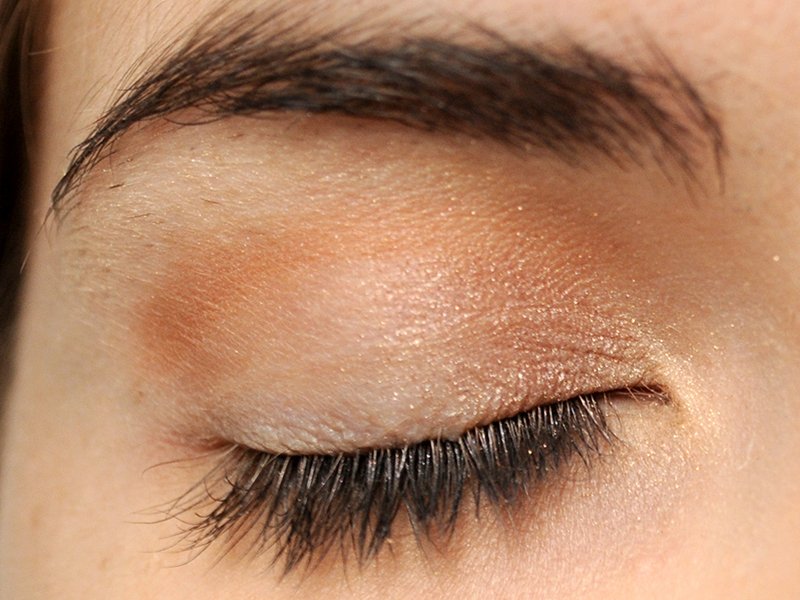 I then applied YDK from Urban Decay on the inside third of my lid. 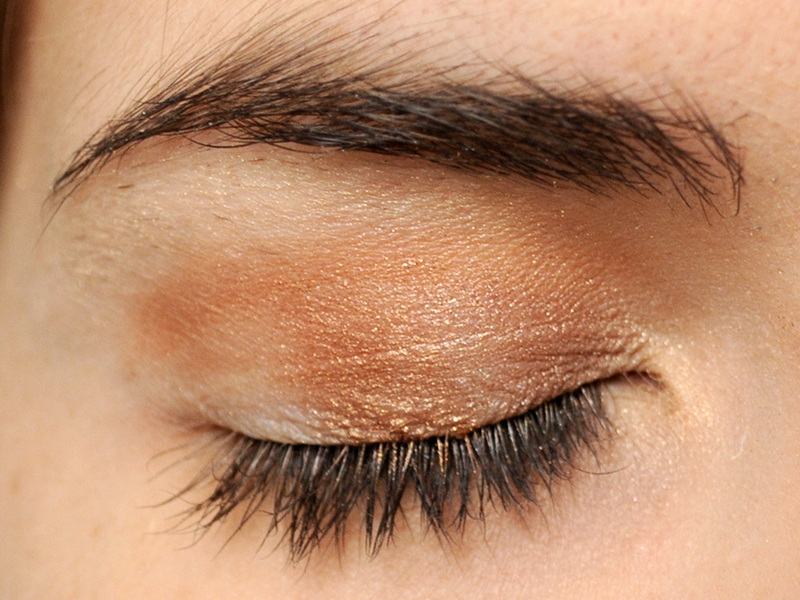 On the middle of the lid, I applied the bronze shimmer color from the NYX palette. And then Terracota from Stila on the outer third. And what it looks like with the eye open. 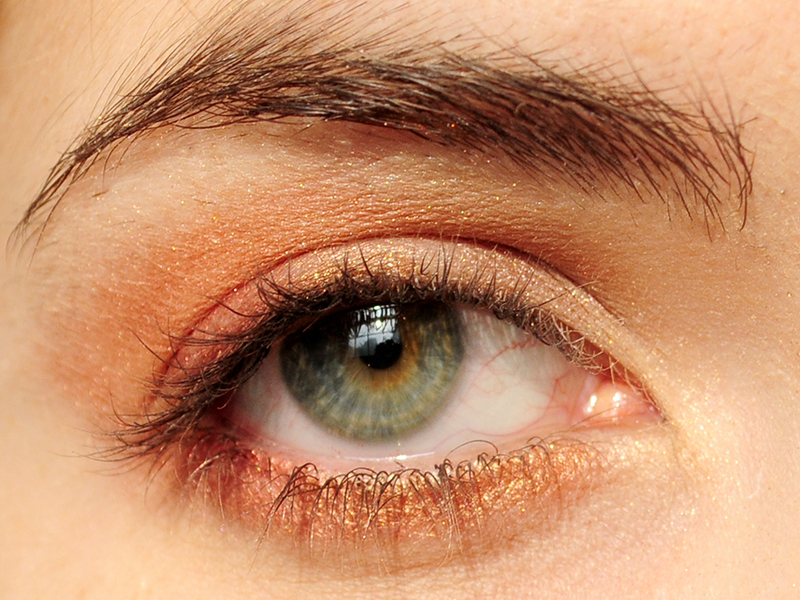 I went under the eye with Terracota (on the outer half) and the bronze shade from the NYX Palette (on the inner half). 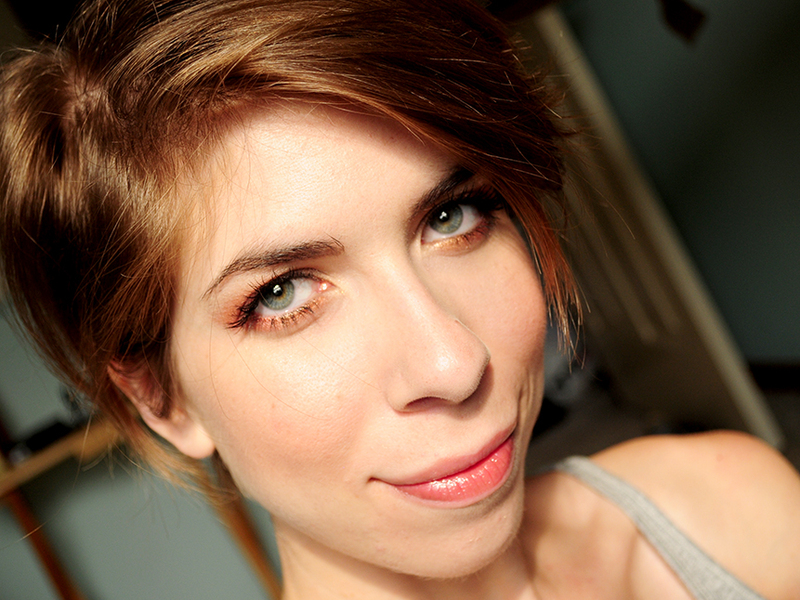 I know you can't seem much of a difference in this photo, but I tightlined since I won't be using any eyeliner on the lid. 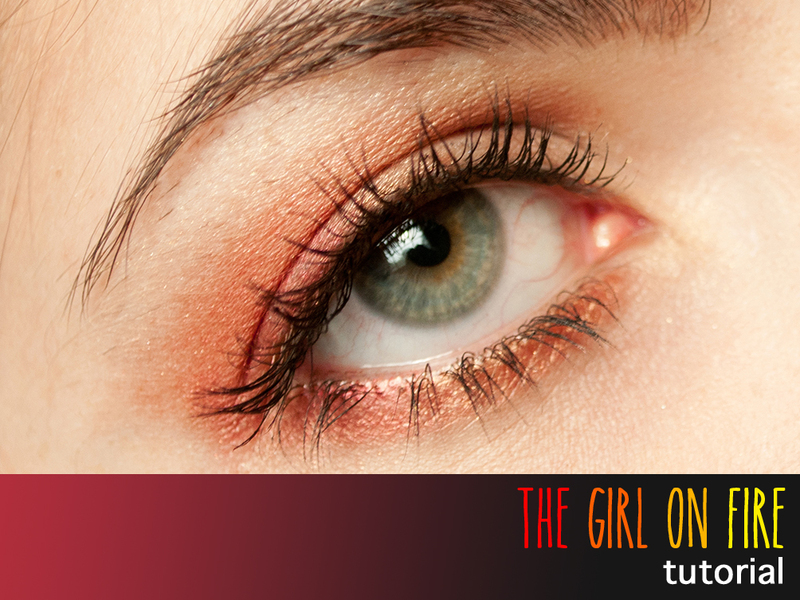 And a heavy dose of mascara. 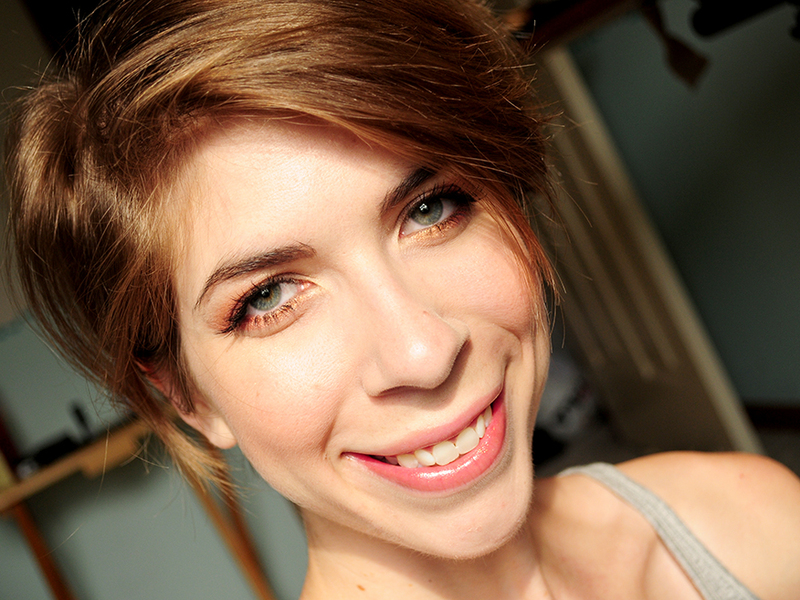 I'm wearing Lash Love Lengthening Mascara from Mary Kay. I completed my look with Milani Baked Blush in Luminoso, MAC Mineralize Skin Finish in Soft & Gentle, and L'Oreal Colour Riche Caresse Wet Stain in Lilac Ever After. 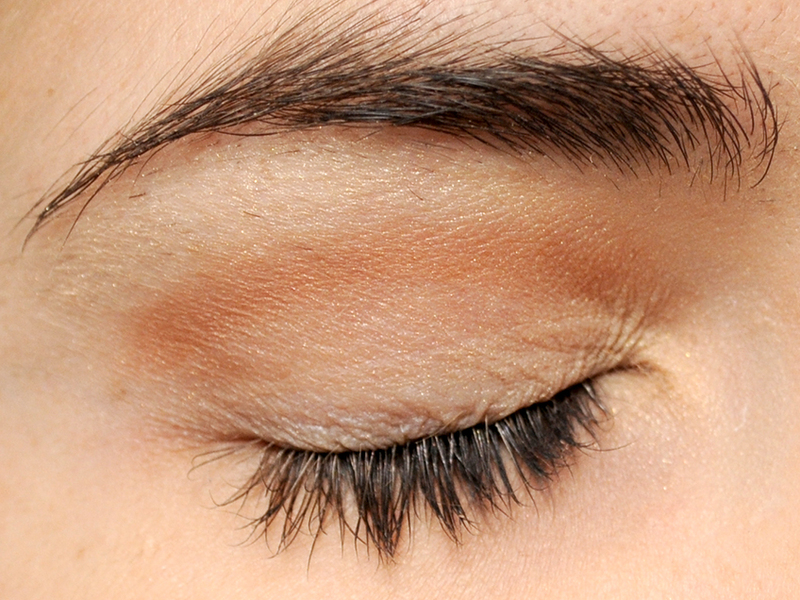 I love the way that you use color without using brights that are too bright for everyday wear... 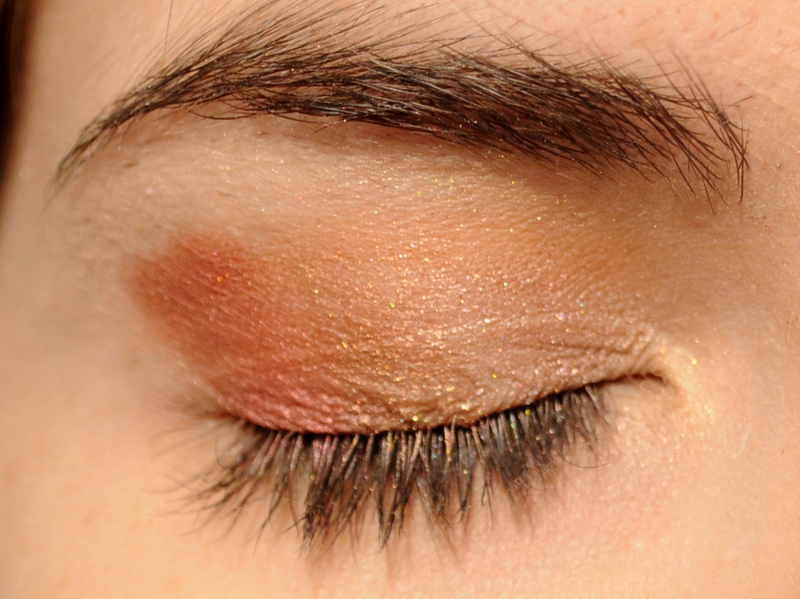 I just got a new palette of warm colors and I can't wait to try this!